The Edo State Governor, Mr. Godwin Obaseki, has called for preparedness and adequate planning among relevant stakeholders to reduce human and economic losses from flooding, which is ravaging many states across the country. The governor said this on the commemoration of the International Day for Disaster Reduction marked by the United Nations and relevant emergency organisations across the globe. 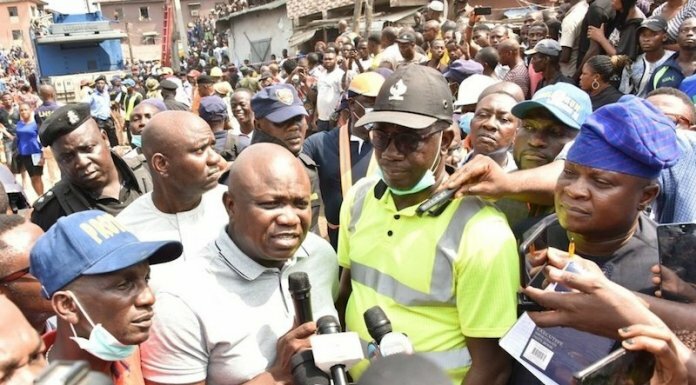 He said though the state government was hit by the last flooding episode recorded across the country, the provision of emergency services by the state government and its agents, was able to considerably reduce the losses. Harping on the need for more synergy to be formed with relevant agencies to mitigate the economic losses of flooding, he said, “On this day, it is important to stress that as much as we are mitigating human losses, we should also set up structures to reduce economic losses from disasters and, when they occur, provide succor for victims. He said the state government had set up emergency shelters and camps across flood-prone areas in the state to stem the hazards from natural disasters, urging for more support to the state to maintain such structures to ease the impact of disasters on people. He assured that the state government is beefing up its emergency management system to reflect the needs of modern disaster management, adding that his administration will not relent in providing support to people affected by natural disasters. According to the United Nations, “Millions of people are displaced every year, losing their homes and jobs because of extreme weather events and earthquakes. This year’s International Day aims to highlight the need for Member States to improve data collection on disasters, including comprehensive accounting of economic losses, the UN added.